United Airlines has tightened its belt and one of its highest-ranking executives is departing the company as the airline progresses deeper into its corporate makeover. The highest profile departure came Thursday when Julia Haywood, the carrier's chief commercial officer, left the company, a spokeswoman for the airline confirmed. The U.S.'s third largest airline said Wednesday it laid off some managing directors and disbanded, for example, its fuel hedging group, reassigning staff to other areas within the company. 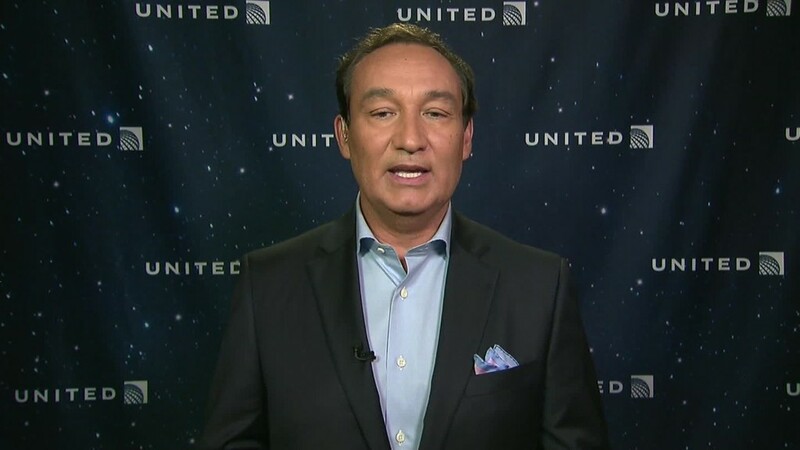 "Our structure has to follow our strategy," Oscar Munoz, United's chief executive, said Wednesday. Since Munoz returned from a medical leave in March following a 2015 heart attack and a January 2016 heart transplant, United has restructured its products and management ranks. In August, the company revamped its financial officer positions, adding Haywood as chief commercial officer and recruited American Airlines executive Scott Kirby to be United's new president. However, Haywood's exit is an about face by the airline, coming just six months after she joined United from the Boston Consulting Group, where she will return. The spokeswoman said in a statement that "We appreciate the contributions Julia has made during this transformative period for United and wish her the best." Munoz acknowledged Wednesday that there have been layoffs among the management ranks after internal reviews "found some bureaucracy and redundancy in some areas," but noted that the re-structuring meant promotions for some staff. United declined to say how many staff had departed, but Munoz called the exits a "relatively small number." The company stresses that it is adding jobs to its front line employees like flight attendants and pilots. United under Munoz's leadership has been working to move the airline beyond the tumultuous half-decade of merger integration woes with Continental Airlines. The company hemorrhaged elite fliers, saw fresh labor strife and lackluster operational performance. The Chicago-based airline is retiring older jets and recently introduced a complete overhaul of its business class, introducing new in-flight and airport amenities for its highest-yield passengers and will soon be selling no-frills basic economy fares. Munoz, formerly a United board member and president of railroad CSX, took over the reins of the airline in September 2015.